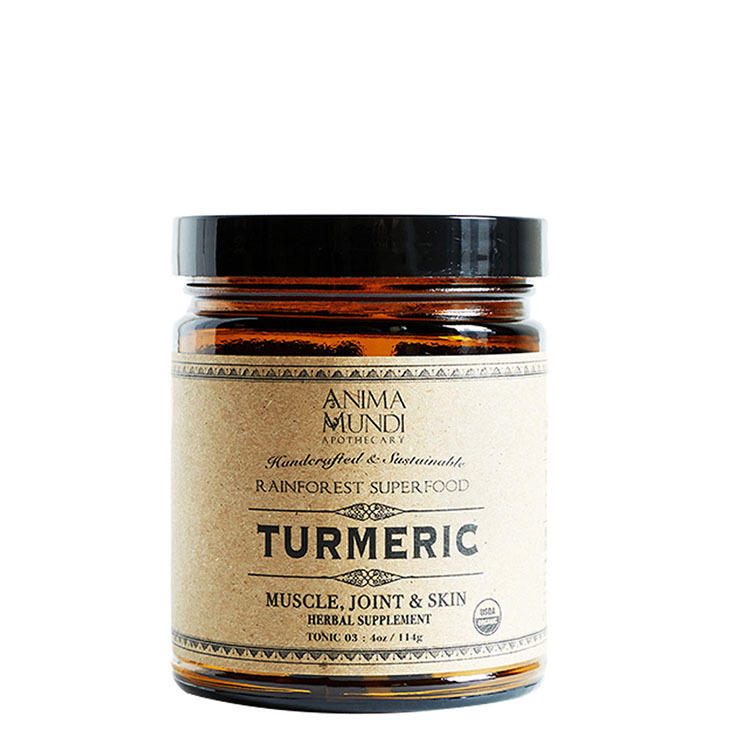 Anima Mundi's Heirloom Single Origin Turmeric is an herbal supplement for easing feelings of muscle, joint, and skin inflammation and instilling a sense of overall good health. Studies have shown that the active ingredient in turmeric, curcumin, gives a nourished feel to the cardiovascular and digestive systems, and helps to delay the appearance of aging on skin. High in antioxidants, it also lends a sense of protection. 1-2tsp in your favorite food, smoothie or juice. Organic Turmeric. Note: Heirloom Variety | Organically grown & Handcrafted in Costa Rica.